Carol is a financial advisor, speaker and the Founder and Executive Director of Fair Advisors Institute (FAI). After recognizing the broad need for financial literacy courses, Carol founded FAI in 2010. As the Executive Director, she has created a strong foundation of success for FAI- raising funds from individuals and foundations, developing and presenting curriculum, and building a network of community partners. Carol’s exhaustive efforts toward educating individuals about personal finance have been recognized locally and nationally. She received the TIAW World of Difference Award which recognizes women whose efforts have advanced the economic empowerment of women locally, regionally or worldwide. She has been recognized annually as a Colorado Top Wealth Advisor since the inception of the award in 2009. An experienced financial advisor and MIT graduate, Carol leverages her decade of international business consulting experience to educate her audiences and simplify the seemingly complex financial environment. She also works with individuals to achieve their goals using financial, estate planning, and philanthropic tools. Carol’s unique and clear perspective on personal finance issues is often quoted in the national press, including: Forbes, Smart Money and (repeatedly) The Wall Street Journal. She is also the co-author of “Personal Investing: the Missing Manual” (O’Reilly, 2010), a book which offers individuals a clear plan of action for taking control of their financial goals. Carol provides the insight and passion to influence and inspire participants, donors, and supporters for FAI. An experienced financial advisor and MIT graduate, she leverages her decade of international business consulting experience to educate her audiences and simplify the seemingly complex financial environment. Carol’s unique and clear perspective on personal finance issues is often quoted in the national press. She has been been quoted in Forbes, Smart Money and (repeatedly) The Wall Street Journal. She is also the co-author of “Personal Investing: the Missing Manual” (O’Reilly, 2010), a book dedicated to offering individuals a clear plan of action to taking control of their financial goals. 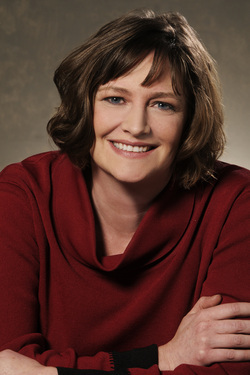 Carol’s exhaustive efforts toward educating individuals about personal finance have been recognized locally and nationally. In 2009 she received the TIAW World of Difference award which recognizes women whose efforts have advanced the economic empowerment of women locally, regionally or worldwide. She has been recognized annually as a Colorado Top Wealth Advisor since the inception of the award in 2009. Carol Fabbri possesses the knowledge and education necessary to build a successful nonprofit. Carol's MBA from MIT, her decade as a business consultant, and her success founding a for profit firm, provide her with the skills to run a company. Her experience working with individuals as a financial advisor, author (“Personal Investing: The Missing Manual”, O'Reilly 2010) and speaker provides her with the insight and passion to influence and inspire participants, donors, and supporters.